Termites can do a lot of damage, especially when property owners do not have service specialists take care of the issue quickly. For example, there is a crisis in Southern California where 60 to 80 percent of homes are affected by these insects. This is not what we want for the residents in Johns Creek and its surrounding areas. 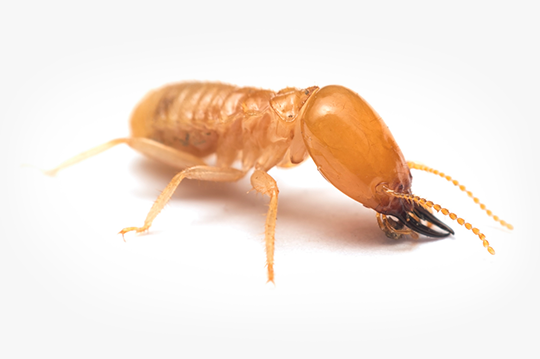 We want to make sure that you are aware of how dangerous these critters can be and why it is important that you help us help you with our various termite treatment methods, like termiticide. Your property is perhaps one of your most valued assets. It is an investment that you keep and protect. We understand just how important your home or business is, and we know that any little problem can end up costing you a significant amount of money. Termites need to be removed from your property, but this must be done by professional termite technicians. This must be said because you might find termite exterminators that lack experience, training, and proper equipment. Some termite treatments require 100 gallons of termiticide to be injected within the surface of your property's foundation. This is a delicate procedure and one that should not be left to anyone but registered technicians. The inspection visit, which is the first visit that you will have the pleasure to experience, may not sound like much, but it is perhaps one of the most vital aspects of our treatment plan. The inspection usually involves one expert technician that is sent to evaluate the scope of your infestation. This inspector will uncover the type of infestation that haunts your property and will try to identify areas where termites might be gaining entry to your property. The inspection is also important to help us better understand your property. We will draw a detailed graph that will allow us to properly apply our treatment. The second part of our treatment plan is the application of the termiticide, which is Termidor 80wg. This termiticide is the strongest type of solution available. We chose this type of termiticide because we believe that our clients deserve results. The second visit involves two to four termite specialists, and they will come with equipment like slab drills. Each technician knows how to handle each tool and knows how to drill without harming your property. We also know how to apply the termiticide without hurting the foundation. The graph from our first visit helps ensure a successful application. The third aspect of our service is our guarantee. This is something that is included in the Termidor 80wg since it creates a barrier between your property and termites for at least 10 years. We also offer an annual inspection plan to make sure that the barrier is not breached. We just simply believe in giving the very best to our customers. 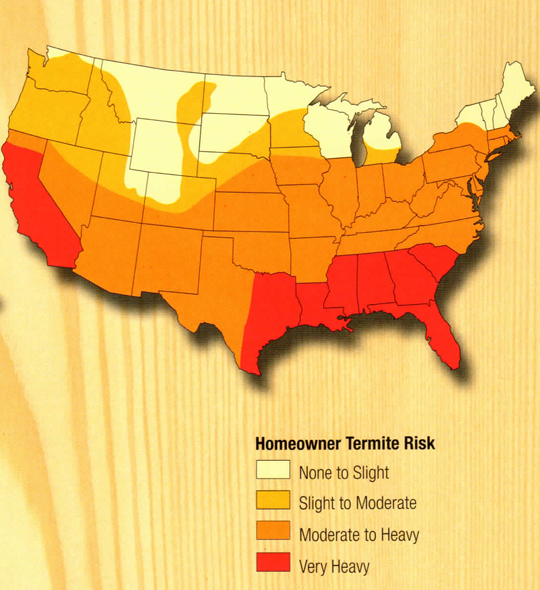 We hope you consider consulting with us regarding your termite problem or how to prevent one from happening. Do not hesitate to contact us. We are here to assist you in any way that we can. Every termite colony includes at least one king and one queen. The queen can live up to 30 years and her only purpose is to reproduce. Every year, thousands of eggs laid by the queen, hatch into nymphs. The different castes (workers, soldiers, reproductive, and supplementary reproductive) are determined while the termites are still in the nymph state. The largest caste of termites is made up of the workers, which are blind and wingless. Duties of worker termites include caring for other workers, searching for food, and building and repairing. Soldiers, whose sole duty is to defend the colony, are sterile, wingless, and blind. Once winged reproductives leave the colony as swarmers, they pair up in male-female pairs to try to start new colonies. In the case of a king or queen dying, supplementary reproductive termites can serve as a replacement. They also help increase the population in established colonies.